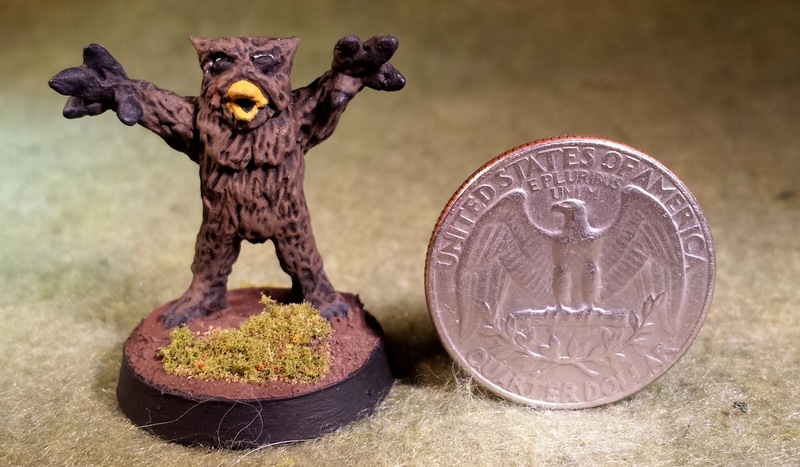 I love Owlbears in Dungeons and Dragons. They are the perfect balance of goofy and scary, and I needed some for my 15mm collection. I found these guys come from 15mm Co. and honestly they are a little silly; looking more like they are ready to give you a hug. 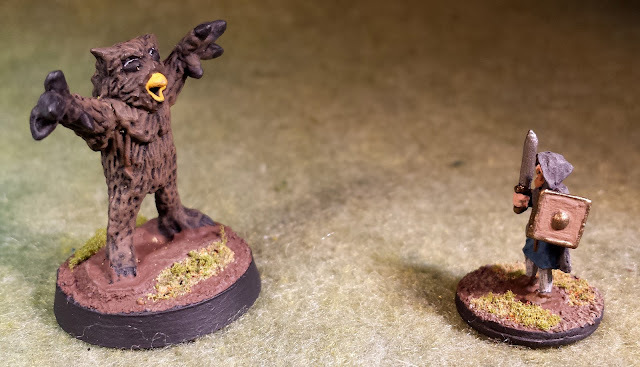 Of course, Splintered Light miniatures just resealed some better ones which I am planning on snagging, but for the mean time these guys will serve their purpose. And despite their awkward appearance, they do look like Owlbears. 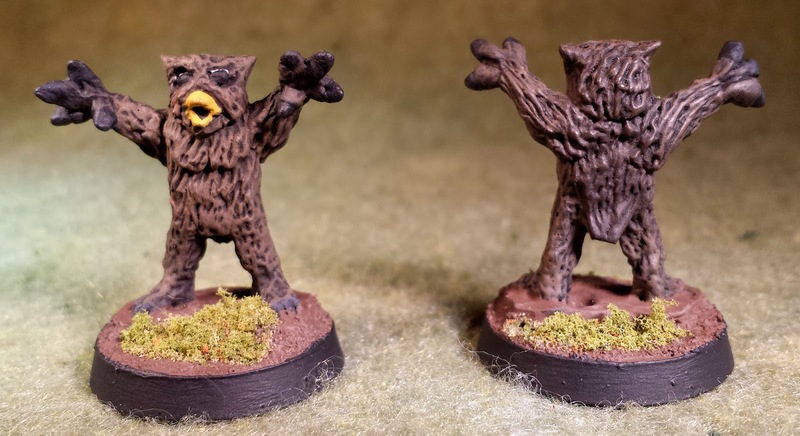 Goofy looking or not, Owlbears are not to be trifled with, and I am sure these guys will claim their fair shares of Player Character lives. P.S. In Jade's 2nd ed AD&D Campaign Arachnophobia, These guys claimed the life of the same NPC twice after a time travel mishap.